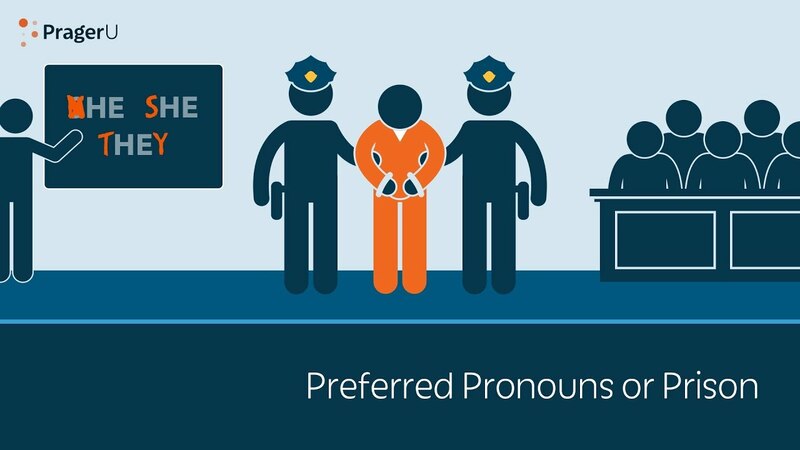 Various states and cities have been passing laws to punish people if they intentionally do not use the 'preferred' pronouns of trannies. In California, a recent law even has the possibility of jail time for medical workers if they do so. And in New York, you could be facing a quarter million dollars in fines. So you can go to jail for calling a she a she? Yep. Pathetic when government tells people to suspend reality when it comes to the English language. I don't support being intentionally mean to people, but all this "that hurt my feelings" is subjective at best. I'm going with the 1st amendment. I don't see any truly disabled people engaging in this nonsense. Its very serious indeed and compelling speech and silencing free speech is the hallmark of the same hateful spirit of marxism that caused the death of so many millions in like in the regimes of Mao and Stalin. furthermore the media are getting more squeely and offended by any reaction against this progressiveism.. all onr can hear is their intolerance of the far right. They self congratulate themselves on their tolerance of their intolerance of Muslim parents objecting to lgbt grooming of their children. Correct. And on top of that someone started a thread recently that whined about laws which would charge those who get abortions with murder. I am not saying I am in favor of that necessarily but the point is we have reached a place in society where using the wrong pronoun puts you in jail but terminating a human life doesn't. Sad indeed. Having you arrested is pure act of revenge. Sounds like they have become the enemy of the people.